I love Lush and I love Christmas. So basically Lush Christmas products are just my idea of heaven. I love all the cute products they come out with, penguins and snowmen and all things sparkly. I honestly could spend so much money in Lush, every time I have a bath I use a Lush product. When the sales start after Christmas I will be straight there to stock up on Christmas products to last me through at least a few months. There will be withdrawal symptoms by next Christmas.. So onto the product I'll be telling you about, 'candy mountain'. If you love the smell of the snow fairy shower gel as much as I do (think pear drops and all things sweet) you will love this, it smells exactly the same. Candy mountain is a bubble bar which basically is a solid version of bubble bath I suppose, you can either swirl it around in the bath or hold it under the tap. I find the second option works a lot, lot better. 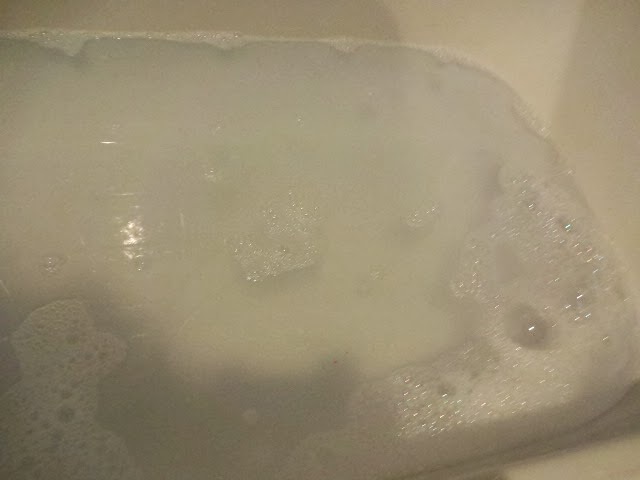 The picture above is when I swirled it around in the bath, as you can see there's not all that many bubbles. However hold it under the tap and you will be left with masses of sweet smelling, shimmery bubbles to relax in. I've used this for 3 baths now and I still have more than half left so it's amazing value for just £2.65. I will definitely be re-purchasing this and will be continuing to use it in all my baths! I've also got a few other Christmas products from Lush to get using so no doubt there will be reviews up and coming for those! What are your favourite Christmas products from Lush? 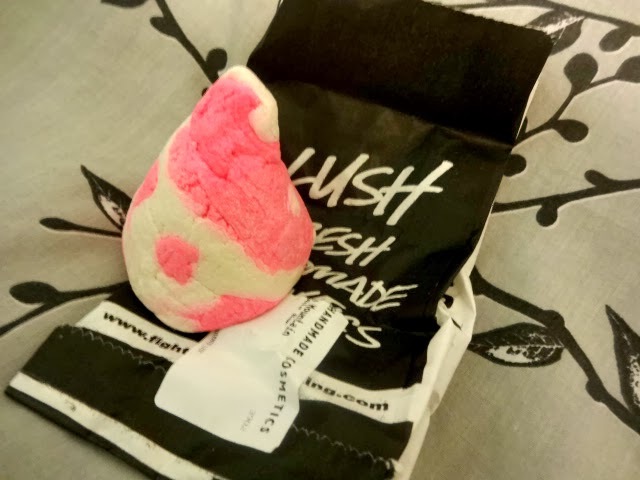 Lush products are my fave!